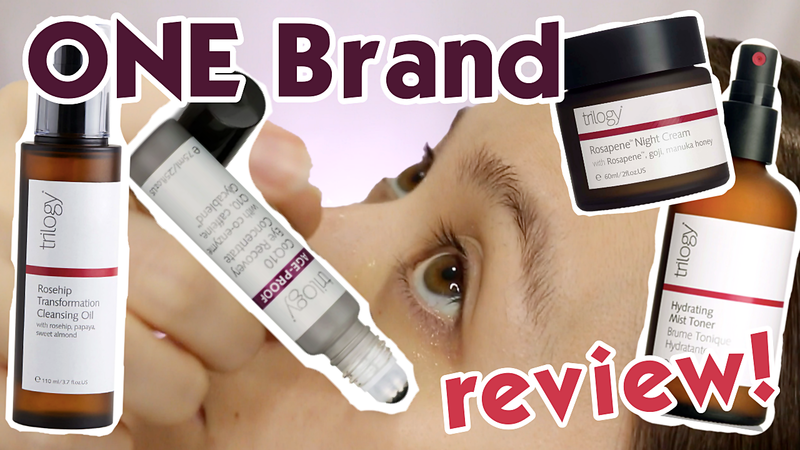 Since my previous favourite Herb Farm natural skincare review, I was stoked when I was asked if I'd like to try Trilogy out as they are also from New Zealand and they are all natural too. 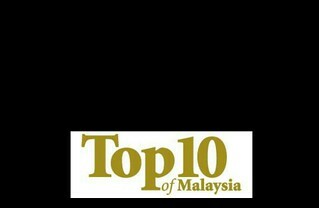 Trilogy is also a brand distributed by TNS Skin Lab in Malaysia, thus the excitement! I managed to get four products that I was interested to try from the brand, the new Rosehip Transformation Cleansing Oil, Age-Proof COQ10 Eye Recovery Concentration, Hydrating Mist Toner, and Rosapene Night Cream. 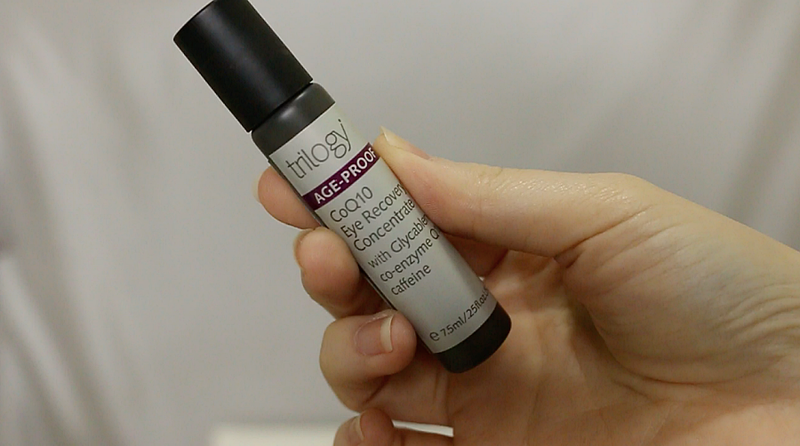 Check out my video review below to see more of these four Trilogy products. 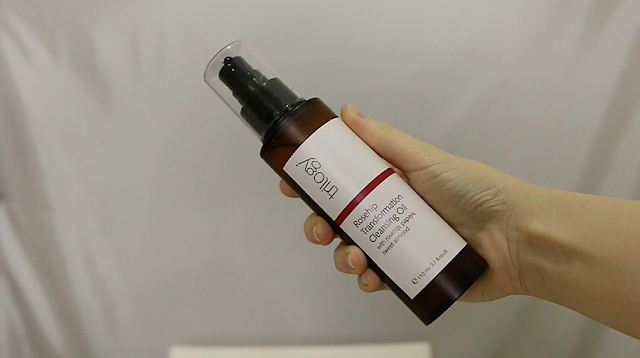 This works absolutely well, just as well and powerful as shu uemura's famous cleansing oil. Similarly, it's a one-step cleansing system where you massage the oil on face to remove even the toughest makeup, then you emulsify it with water to cleanse away the impurities. It's gentle on the skin and leaves skin feeling extremely smooth and nourished. Cleaning with this should be enough but if you want to, feel free to double cleansing by going in with your regular face cleanser because oil cleanser can leave your skin feeling like that "not-clean-feel". This Rosehip Transformation Cleansing Oil smells great with the blend of rosehip, papaya, sweet almond, and grape seed oils. I think if your skin is sensitive but you still want something strong enough to remove tough, waterproof makeup, this is a great option and alternative to shu uemura's cleansing oil because this is certified natural while looking at the ingredient list of shu's cleansing oil, it's definitely not natural ingredients. Ever since Herb Farm's Rose mist, I wanted to have more mist in my life. So I just had to try this Trilogy Hydrating Mist Toner out. I thought, wow they have rose, geranium, and lavender, it must smell delightful! I was wrong. Unfortunately, this product didn't work for me. The mist is not as hydrating as I thought it would be, as in I spray them on my face feeling instantly refreshed but in a few minutes time, my skin is feeling dry again. So, not hydrating enough in my books. The scent was completely different than how I imagined it to be. It's not unpleasant but it's not a scent that I enjoy either. One thing I can say is that they made the nozzle right. The mist sprays out in fine droplets and disperse evenly every single spritz. Good packaging but not the best mist I've ever used. I really had high hopes for this product. HIGH HOPES. I thought this could be my ultimate travel friendly under eye care, it still could be but only for the purpose of depuffing and enjoy cooling feeling under my eyes. The rollerball requires some work to get the product dispensing well, sometimes the ball don't even dispense any product unless I tilt my head way back so gravity could do its magic on this packaging. That kinda minor issue actually. This unfortunately did not really helped much with brightening and reducing fine lines around my eye area. The product is the lightweight and watery type, not something I prefer for my under eyes as mine are so dry that it needs something creamy and can sustain moisture. This might work for you if you are looking for something that absorbs completely without leaving any residue on your under eyes or if you want a quick fix in depuffing puffy eyes. As much as I enjoy the brief period of cooling sensation from the metal rollerball, this is not enough for me. The scent is not great, it has that very natural, eco scent, but I enjoy using this night cream very much. It's such a rich, thick cream that nourishes my skin like butter. The best part is that it doesn't leave too much of a residue, just enough to feel my skin is thoroughly moisturised. This cream is great to not only help with regeneration when sleeping but also to ensure not too much moisture lost especially when sleeping in an Air Conditioned room. I recommend this for dry, ageing skin, people my age. For more info or to order, visit TNS Skin Lab here.